It seems like every time it snows we have a wedding. In spite of a foot of snow we are ready to deliver. My lovely flowers are resting "in the cooler." The bride will carry a bridal bouquet of white cabbage roses, pine cones, pods, cedar, magnolia, dusty miller, and white ranunculus. 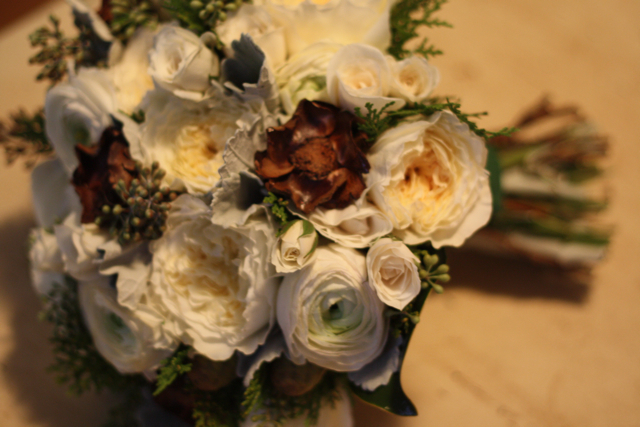 The bouquet is absolutely delicious and it is the perfect winter bouquet. 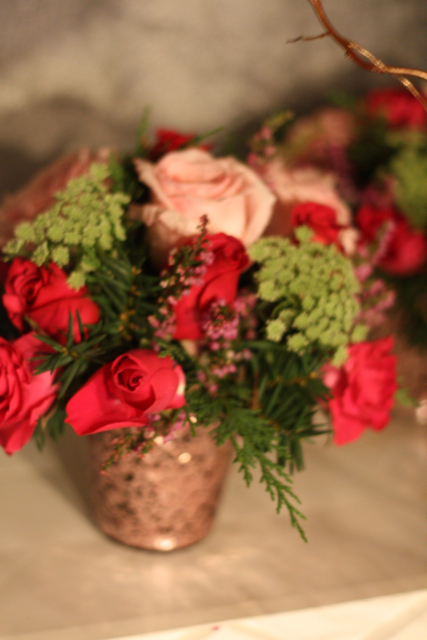 Half of the centerpieces were designed in my birch vases. The vases were carved by my husband Evan. The other half of the centerpieces are huge mounds of evergreen, roses, pine cones and fillers. The pictures I took are so horrible I was unable to post them. 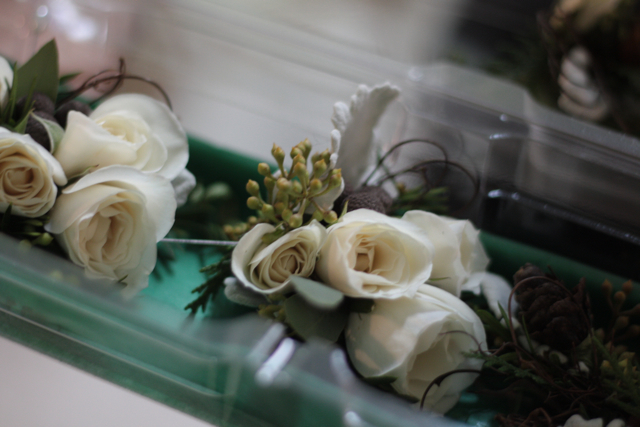 Maids will carry bouquets of gold combo roses, dusty miller, seeded euc, pine cones, and cedar. The bouquets were bound with gold satin ribbon. 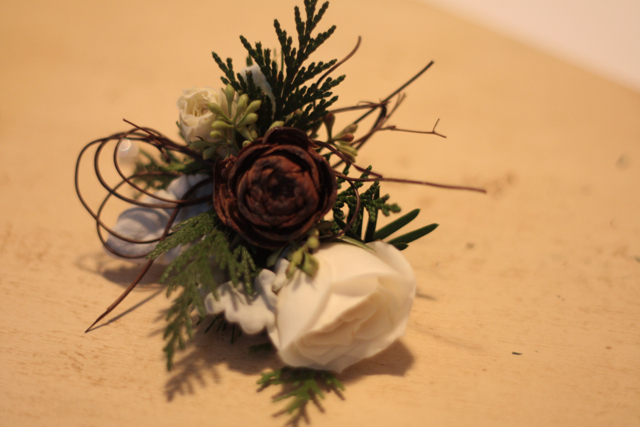 The grooms bout was created with angel vine, spray roses, cedar, pine cones, and dusty miller. We also have some sweet pink designs "in the cooler," it's my baby Grace's 2nd birthday. Time is flying. It seems like every time it snows we have a wedding. In spite of a foot of snow we are ready to deliver. I love the arrangement. Nice choice of flower colors. Lovely!